I am a representational oil and watercolor artist. I strive to capture on canvas the beauty I am surprised by, every day. I sometimes recognize it in freeways, laundromats, liquor stores, people and even poppy fields. I love to paint outdoors. I approach my plein air painting by trying to let the materials speak for themselves and using the natural world as my guide. The sharp contrasts and layers of Los Angeles are often what triggers my work. Its overlapping cultural and natural textures, simultaneous display of wealth, neglect, and struggle, excess, you name it makes for a very interesting subject. Under the bright light of California, any corner of the city can be worth taking a second look. My ultimate hope is to share the moments of beauty I find and prompt the viewer to take a second look at the world. San Luis Obispo Plein Air 2009 Juried show. San Luis Obispo Art Center. North Tahoe Plein Air 2008 2009 Juried show. Northstar, North Tahoe. First Place at the Pasadena Artwalk 2009. Nov 2008 Third Place Award in San Gabiel Plein Air 2008.San Gabriel Fine Arts Association. (Juror: Jason Situ). San Gabriel, California. Joe and Julie Pachoreck M.D.  Attended workshops and classes at Art Center (Pasadena) Associates in Arts (Van Nuys) and the Scottsdale Art School (AZ). Teachers include Jennifer Mc Christian, Peter Andrews, Sheri McGraw and Clayton Beck III.